Maruti Suzuki Also K10 is popular as one of the most fuel-efficient car in the Indian market with both Petrol and CNG fuel options available. The car also has decent power outputs, which match perfectly to the urban needs and requirements. Maruti Suzuki Alto K10 is said to be one to the best selling car in the small car segment in India. Under the logo of MSIL, the car provides all the basic features that are needed in a compact city commute. It has been doing an incredible business since its debut in the country. 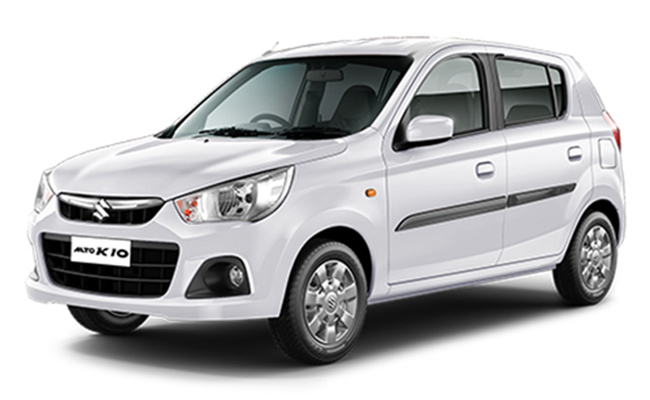 In the Indian market, it has been competing with prominent cars such as Datsun Go, Hyundai Eon and Chevy spark. It is available in a total of six variants. The company offers this car under a extended 2-year warranty scheme, that means the buyer can enjoy a 2-year service over 40,000 kms. The warranty can also be increased after paying some extra amount to the dealership. 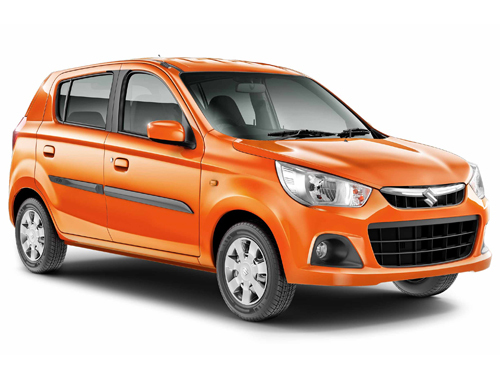 The exterior design is compact and sleek that suits a small car comfortably. The design details are highly augmented and clean. The front fascia is furbished with a wide grille that imparts appealing look. Available under the chrome paint, the bumpers too are covered under body colour putting extra glare to the appearance. The side profile looks decent with body colored door handles and the black B-pillars. The full wheel covers are covered under stylish steel wheels. 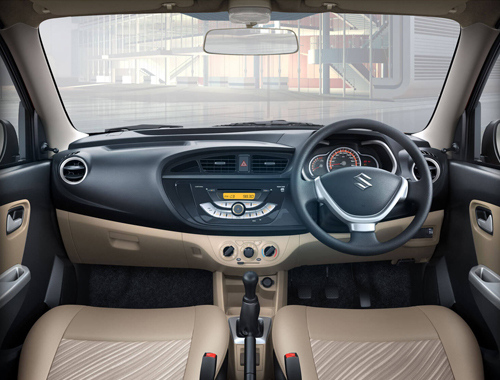 Alto K10\'s interior is something what the automaker has worked on genuinely. The interior looks well furnished and offers value added features too. The seats are well cushioned and comes with an extra support. This compartment offers generous space for five occupants. The instrument cluster comes encrypted with various notifications. The manufacturer has also added a tachometer for better assistance. The console gets a shift up indicator and gear shift digital display. The instrument panel also gets a driver\'s seat belt warning lamp along with a digital clock. A standard courtesy lamp is present for three position facility. The instrument panel comes under a piano black theme. 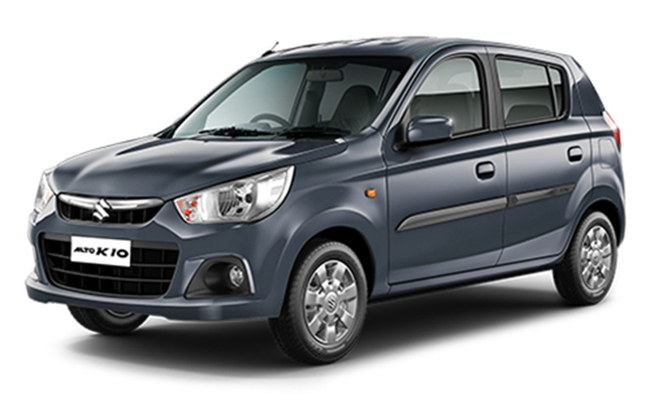 A 1.0-litre, K-series petrol drivetrain powers the Alto K10. It is equipped with three cylinders and twelve valves under double overhead camshaft valve configuration. This engine MPFI returns a mileage of around 24.07 Kmpl on highways and 20 Kmpl in the cities. It produces a maximum power of 67.1bhp at 6000rpm and a peak torque output of 90Nm at 3500rpm. The CNG version is capable of delivering 32.26 Km/Kg. Under this mode, it is claimed to offer a maximum power of 58.2bhp at 6000rpm and a torque of 78Nm at 3500rpm. 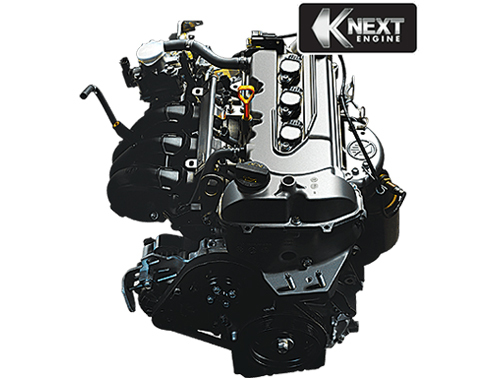 The engine is mated to an efficient five speed manual transmission. Alto K10 seems great on city roads as it offers amazing suspension mechanism and braking. The front wheels get ventilated disc brakes and the rear gest the drum brakes. The suspension system comprises of the gas filled McPherson strut to its front axle and a three link rigid axle type on the other side. The steering is very responsive and the minimum turning radius is said to be around 4.6 meters. The Maruti Suzuki Alto K10 is offered in variants namely LX/LX(O), LXi/LXi(O), VXi/VXi(O), LXi CNG/LXi CNG(O). The LX variant is the base variant of the line up and gets headlight leveling device, 2-point fixed seat belt and three point seatbelts for all rear center passenger. There is also high mounted third stop lamp affixed above the windscreen. It gets the standard features such as driver\'s seat belt warning lamp, a set of ventilated disc brakes, a pair of fog lamps and child lock. Meanwhile the mid LXi/LXi(O) variant comes with essential standard features and power steering. The 5-speed automatic gearbox is available with the VXi trim only which is also priced reasonably. The VXi and VXi (O) also gets a 2-DIN music system in its central console. There are also four speakers positioned inside the cabin. 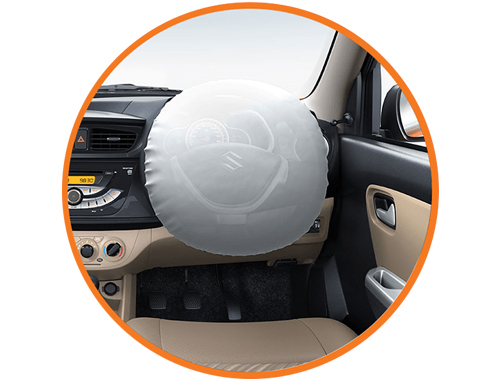 The VXi (O) comes with the standard driver airbag and a pair of fog lamps in the bumpers. The LXi CNG comes with a 5-speed manual transmission and offers standard features. It is claimed to deliver best-in-class mileage of 32.26 Km/Kg. Maruti Alto K10 offers improved head space that ensures enjoyable travel experience. The braking and suspension system take care of the handling part in the city roads.The acceleration is quite impressive for a B+ hatchback. Despite being a 1-litre engine, Alto K10 returns an impressive mileage of 20 kmpl.